Political Crisis In Israel: Defense Minister Resigns, Slams Netanyahu For "Surrendering to Hamas"
"If Lieberman resigns, Netanyahu will dissolve the Knesset" — report senior Israeli government sources following a formal announcement by Lieberman confirming he has quit his post as defense minister. Minister of Defense Avigdor Lieberman resigned his post after a dramatic escalation in Gaza since Sunday's controversial Israeli special forces assassination raid on a top Hamas commander, sparking a political crisis in Israel. He made a formal announcement of his exit Wednesday during a televised news conference. 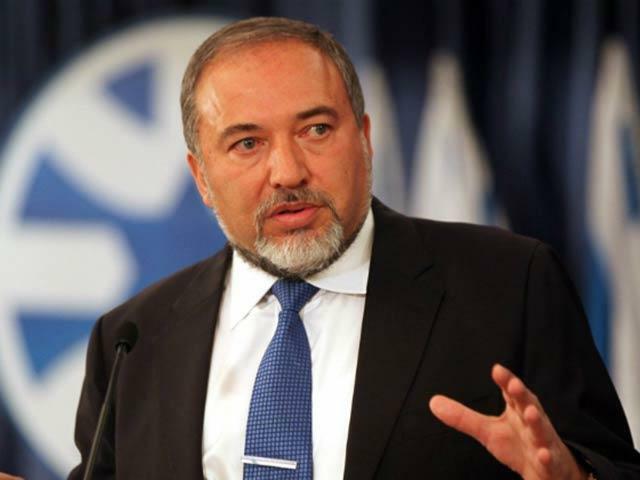 In a rare public fissure over defense strategy Lieberman slammed Prime Minister Netanyahu for "surrendering to Hamas terror" over the prime minister agreeing to a ceasefire deal with Hamas on Tuesday. The ceasefire went into effect after two days of a record number of rockets fired out of Gaza, with the AP reporting 460 rockets and mortars in a 24-hour period, and an Israeli response of pummeling 160 Gaza targets. Israel's Haaretz further indicated Lieberman was enraged over a recent statement from Netanyahu's office, which falsely indicated that he was fully behind the prime minister's push for a ceasefire with Hamas. Lieberman has also lately clashed with other officials over allowing Qatar to transfer $15m in humanitarian funds to Gaza, and granting Qatar access to supplying fuel operations in the strip. According to the outgoing defense chief, he was the only minister who took a stance against transferring funds to Hamas in a security cabinet meeting two weeks ago. He's competed with others within his own governing coalition over who's more hawkish on Gaza. "If I were to continue as defense minister I wouldn't be able to look the residents of the south in the eye," he said, according to the The Jerusalem Post, referencing Tuesday's ceasefire with Hamas. "This will severely harm our security in the long term," he added in comments directed at Netanyahu and his supporters. "What we're doing now as a state is buying short-term quiet, with the price being severe long-term damage to national security," Lieberman said. Lieberman announced further that his Yisrael Beitenu (Israel Our Home) party, which holds five seats in the 120-seat parliament, would leave the governing coalition and requested that new elections be held: "We should agree on a date for elections as early as possible," he said. It's a major blow to Netanyahu and Israel's ruling coalition that's being described as nothing short of a huge crisis. It's further the domestic blowback of the weekend's adventurism in Gaza which led to Hamas successfully destroying an IDF bus with an anti-tank rocket. Hamas meanwhile is claiming victory after breaking news of the defense minister's impending resignation, calling it in an official statement a "political victory for Gaza." Hamas spokesman Sami Abu Zuhri described Avigdor Lieberman's resignation Wednesday as the "recognition of defeat and failure to confront the Palestinian resistance." He said "Gaza's steadfastness sent a political shockwave" in Israel. It's certainly a rare moment when it's the Palestinian side that can sit back and watch political chaos unfold in Tel Aviv. It's also rare to see Netanyahu get out-hawked by his own former allies and defense officials.